I’ve been wearing scrunchies to bed for years because I love how delicate they are on my (fragile) hair, and apparently just now decided to try them out for all the time.. I am quite smitten. 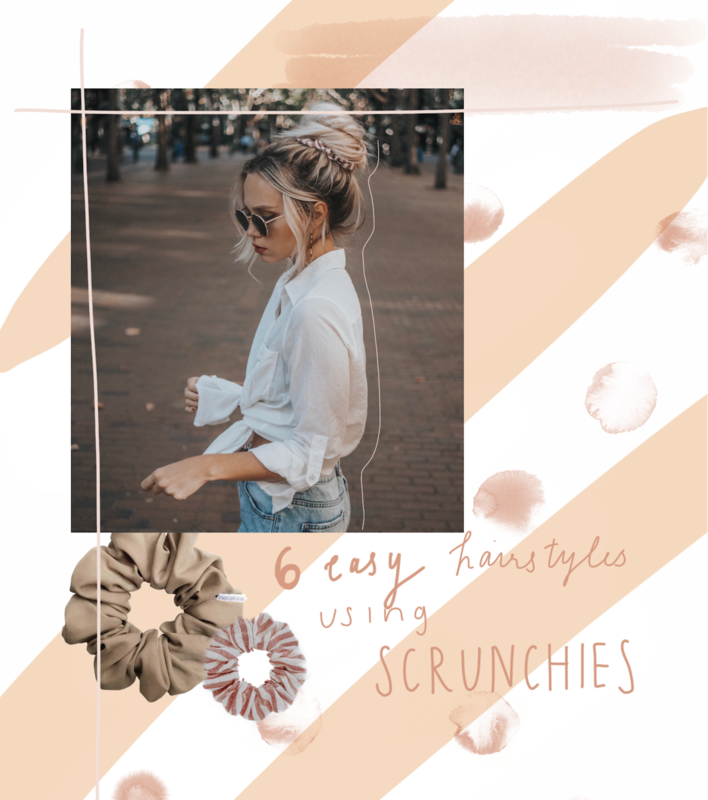 I decided to try to use them in three different hairstyles – all of which are soooo easy – and ended up realizing that each hairstyle has a step one that is equally as cute with the scrunchies! SO you get 6 for the price of 3.. I love a good sale. The scrunchies here are from Chelsea King and Kitsch. Both are so cute and give off totally different vibes. 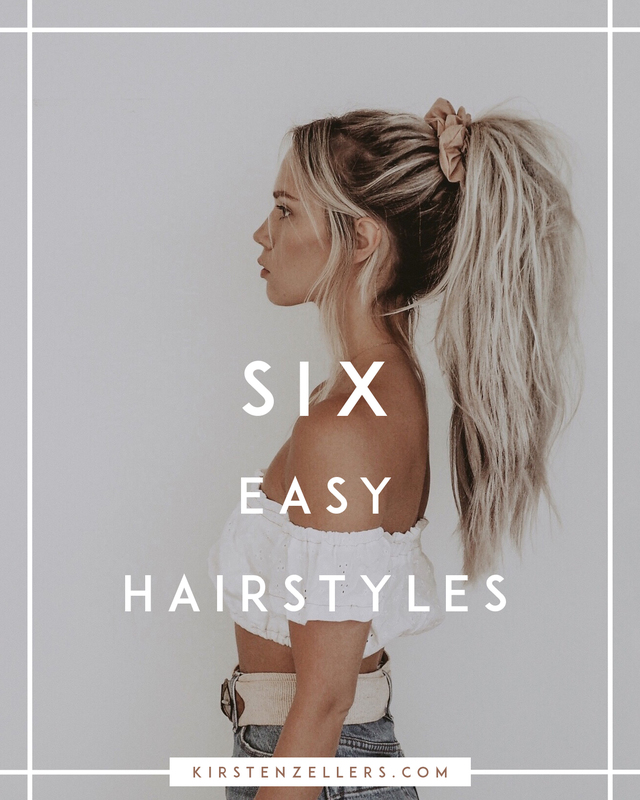 What are your favorite kind of hair tutorials to see? Pictures or Video? Braids or curls or quick styles or ones with accessories? I love to hear your feedback so let me know below! Pull hair into high ponytail, leaving out front face framing pieces and pieces near ears. Use a bungee cord elastic to secure hair in place. 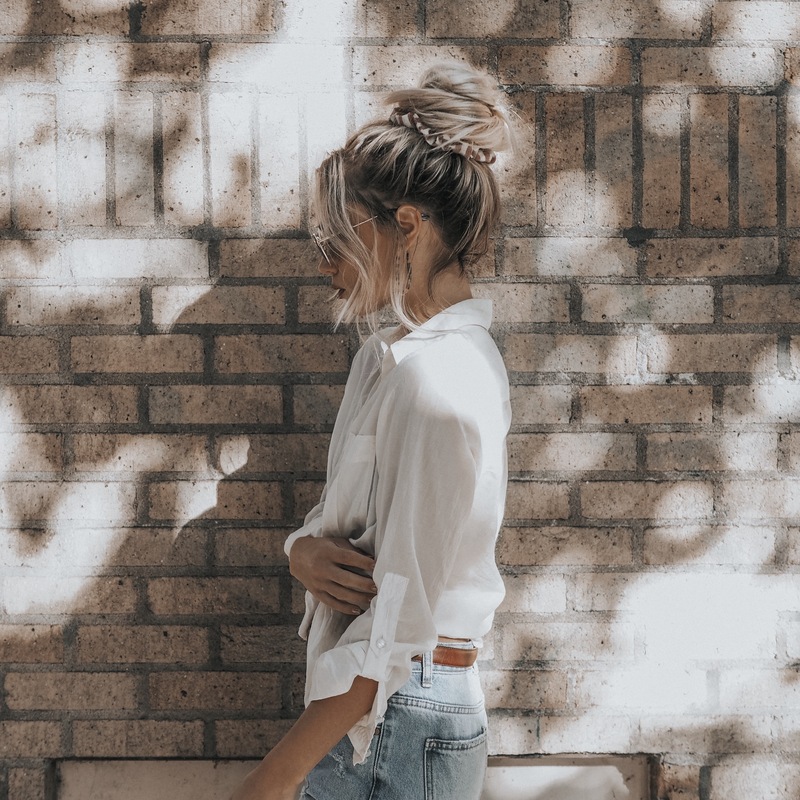 Pull at the pulled back hair so that it has more volume and does not look as flat. Put in scrunchy and tease hair in ponytail so that there is extra volume. Part hair down middle and secure both sides into low pigtails using clear elastics. Put scrunchies over elastics. Put another elastic about 6 inches down (depending on how long your hair is). 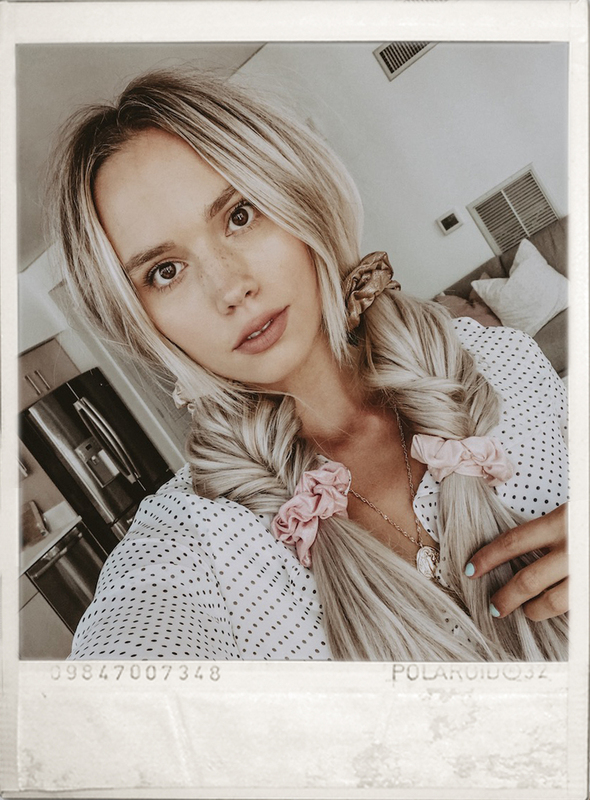 Split the hair between the two elastics in half and loop the bottom part of your hair through the middle, creating a faux fishtail braid. Pull at the sides of this “fishtail” to make it so much thicker. This is an easy way to make a thick braid because the elastics make sure that it doesn’t fall out when you pull it apart. Put two more scrunchies at the bottom of the pigtails. Secure hair into a high ponytail using a bungee cord elastic, leaving out any face framing layers you want out. Take ponytail and twist hair and then twist it around your ponytail elastic. Use (tons) of bobby pins to secure it in place. Carefully place scrunchy over bun.